Friday Weird Science: If you’re happy and you know it, smell some pee! | Are you Scicurious? Friday Weird Science: If you’re happy and you know it, smell some pee! Sci actually considered blogging this paper as just a regular, run of the mill weekday paper…but it’s got urine sniffing. And the idea of making up a song to a paper is one that Sci can never resist. So first, the paper. And then, the song! Malkesman, et al. 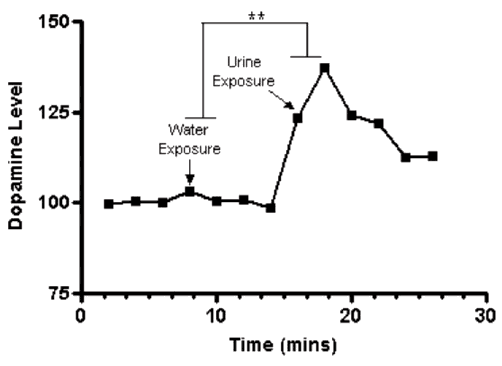 “The Female Urine Snifﬁng Test: A Novel Approach for Assessing Reward-Seeking Behavior in Rodents” Biological Psychiatry, 2010. Ok, that was kind of unrelated. Sci found it hilarious anyway. There are various behavioral tests that scientists use in rodents in an effort to define things like “reward-seeking”. Why do we care about reward seeking behavior? Well, it has some very important implications for diseases in humans. First of all, clinical depression has as one of its symptoms decreases in reward-seeking behavior, as well as decrease pleasure from rewarding things (a condition called anhedonia). Secondly, people with disorders such as bipolar disorder and various types of addiction frequently have problems with reward-seeking behavior, leading them to seek out certain types of reward to the exclusion of other things. So knowing more about reward related behaviors in rats can help us to study the underlying biological mechanisms, which we can hopefully then apply to humans. “Reward-seeking” in mice and rats usually involves testing the animal with something that it should like to approach, and the measure of how long it takes to approach something nice. This can actually take several forms, including eating tasty foods, self-stimulating your brain (in which you’d measure how many times the animal bangs on the lever as an aspect reward seeking behavior), or training an animal that something good is in one of several chambers, and measuring how much time it spends hanging around the chamber later (a behavioral task called conditioned place preference). Another big one is measuring how much an animal likes sugar water. The only problem is that all of these have issues associated with them. Brain stimulation and conditioned place preference require the animal to learn and remember. Tasty food and drink intake can be a problem if the animal is underweight rather than stressed out, or if the animal has problems with taste. So when you get positive results in one of these, is it because your test improved or changes reward-seeking behavior? Or is it because your mouse has better or worse memory? Or has lost weight and can’t eat as much? So the scientists here decided to approach the problem from a different angle. We know that a lot of reward-seeking behaviors are also associated with social behaviors and social contexts. For mice and rats, that means PEE. Rodents can tell a lot about each other from the chemicals in their urine. 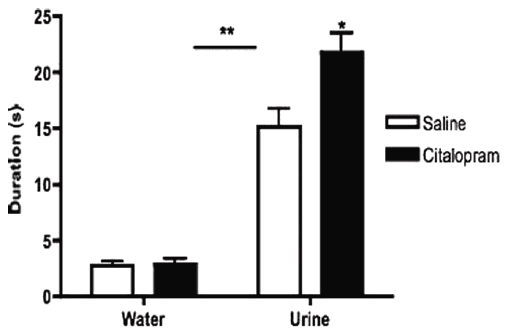 So in this case, the authors decided to expose male mice and rats to female urine. The female urine was from female mice in estrous, which are apparently some very hot mice indeed. These mice are such lovely, toothsome beauties, that when a male mouse smells some of that, he gets excited and starts emitting ultrasonic vocalizations (which are the equivalent of mouse whoopin’ and hollerin’, except too high for us to hear). What you can see above is a male mouse sniffing a Q-tip, on which is a drop of female urine. The idea is that you can tell how happy the mouse is, and how reward-seeking he is, by how long he spends sniffing a lady’s pee and how loud he gets about it. This is presumably a good test to use because it doesn’t depend on memory, learning, or taste (though it DOES depend on certain types of smell, and since some models of rodent depression get rid of mouse olfactory bulbs to induce depression, this may not be the best test to use in all cases). And now, since it’s Friday, Sci has decided to express the rest of this paper, figures and all, through the medium of SONG! Get ready to sing along! If you’re happy and you know it, smell some pee! All the different male mouse strains will smell some pee! If your mouse pee smells so tasty, give a squeak! If your mouse pee smells so taste, give a squeak! All the male mice above will give a squeak! When the urine smells real nice, DA will spike! When the urine smell real nice, DA will spike! when the urine smells real nice, DA will spike. When your mice are all upset they won’t smell pee. If your mice are unhappy you give them drugs! Then they sniff the pee and give the ladies hugs! If you’re happy and you know it, smell some pee!! Now that we’ve done the singing, Sci will go and explain what exactly was going on here. The scientists started out (in figure 2) showing that mice of various types LOVE to smell them some lady pee. They spent significantly more time smelling the lady pee than they did smelling a cotton swab dipped in water. Sci would have appreciated a control that had a smell, like NON-estrous lady pee, and then maybe something like lemon juice, to show that estrous lady pee got the best results, and that they weren’t just smelling the roses or something. But oh well. Next up they looked at the vocalizations of the mice (Figure 3). The mice emitted squeaks when they smelled the estrous pee, and significantly more than they did when they smelled water. So it looks like the mice like sniffing lady pee, and squeak about it. They then looked to see whether the smell of lady mouse pee increased the neurotransmitter dopamine in the nucleus accumbens, an area of the brain that is associated with reward-seeking. Indeed, it did (see figure 4). Sci is actually not so pleased about this figure. She knows the change is small, and of course it would be a small change…but no error bars?! SRSLY?! And what are the time units?! WHY did you take 3 minute samples? And WTF are those Y axis units?! Sci is going to assume it’s percent of baseline, but assumptions do not make her happy. And even the methods just say “as previously described”. *snort* That said, I do believe this data. Now, if you’re going to have a test for rodent behavior that you want to use to look at things like reward-related behaviors, or for behaviors associated with depression, you need to get a kind of depression in your mice and see what happens. So what they did was use a learned helplessness paradigm. This is a test wherein you take a mouse and put it on an electrified grid floor for a certain amount of time each day, giving it painful footshocks. Pretty soon, you end up with a mouse that displays learned helplessness, where even if you offer escape, it won’t take it, it’ll just huddle there and look unhappy. 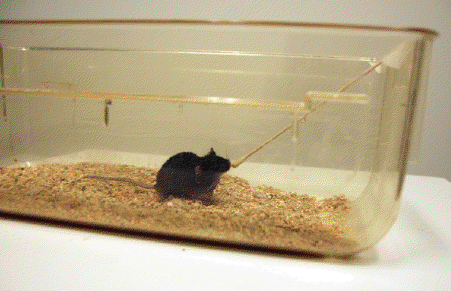 This is a way of generating a model of depression in mice. 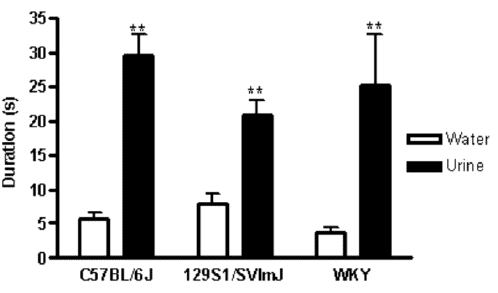 Sci doesn’t generally like it, because there are other ways to generate depressive like symptoms in mice without causing them pain (like chronic mild stress, social defeat, or raising them alone), but it’s very proven, and really, the other ways are not all that much more comfortable. 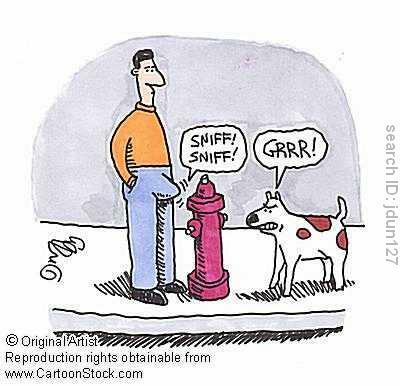 So when they took these mice who were displaying learned helplessness and let them sniff lady pee, the helpless males sniffed a lot less than before. So THEN, they treated the mice with antidepressants, and the mice showed some improvement in sniffing. This shows that the paradigm responds both to a depressive phenotype and to antidepressant treatment. 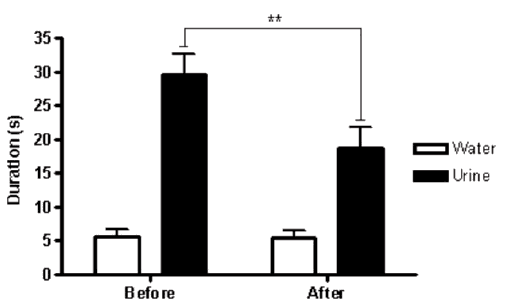 Sci likes this both because it shows effects, and also because the mice were treated with chronic antidepressants, which is generally a lot closer to the human condition than just one injection. 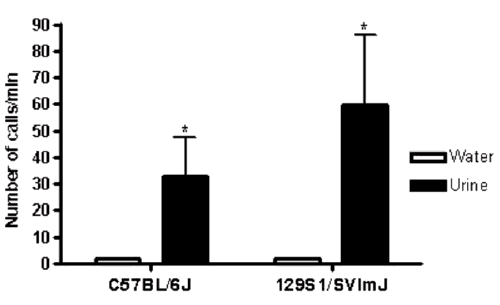 They did do some other experiments, including using a mouse that is genetically mutated and thought to be more sensitive to reward, the GluR6 knockout, and these mice sniffed even more than normal mice did. Sci has some issues with this paper (that DA graph is awful, and some more controls would be nice), but it does seem like the paradigm they are using might have some promise. It’s quick and easy to test because it doesn’t require training and is a fast test (unlike the other test for chronic antidepressants, which is novelty induced hypophagia and takes well over a week to train and another few days to test). It doesn’t require changes in food intake or learning. But on the other hand, the results they got were pretty minor with the antidepressant, which isn’t so promising. But Sci’s not going to dig. It’s a Friday, and honestly, how many times do you get a paper that you literally remember with a song? !